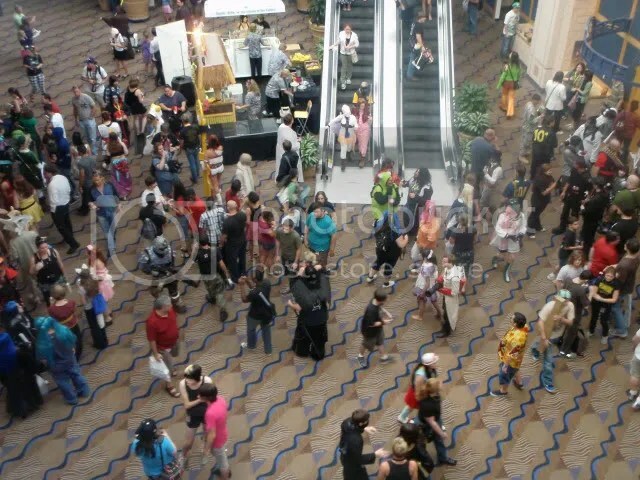 You can never get lost going to Metrocon… once you enter downtown Tampa, just follow the colored wigs. 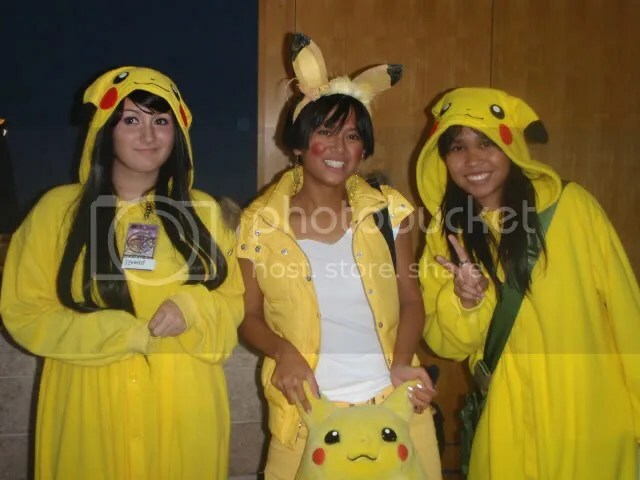 There I was, in my old Halloween “skanky” Pikachu outfit and carrying my “FAT” Pikachu doll– one of about 30 Pokemon-costumed freaks (one of my friends told me it was probably because Pokemon released a new game recently) attending Metrocon, an annual Tampa anime-fetish convention. In seconds I was in a sea of hairspray, robes, face paint, and weapons larger than a kindergartener. Now I’m not an anime-nerd, but I never pass up interesting experiences. And I get to dress up? DONE DEAL! For a few hours my group wandered the two-floored Tampa Convention Center around booths of people selling their artwork, listened to voice actors, and mused at high school nerds acting like they ruled the planet. People will randomly start acting or play games, the kids scream at everything “EEEEEEE oh I LOVE your hair dye!”… and did I mention people watching? I was awed at how elaborate some costumes were. But my friend Rhea also said it best… most of the costumes looked purchased and not made… which declines the coolness. Pshhhh, there was a “pass” you could buy which granted access to more rooms: Gaming areas, the professional booths, contests, parties… but you can definitely have fun without buying it. – Dancers– If you normally can’t dance well, wearing a costume doesn’t fix that. – Many chicas wearing a bikini, heals, and a wig… what anime is that? I’ll watch it! 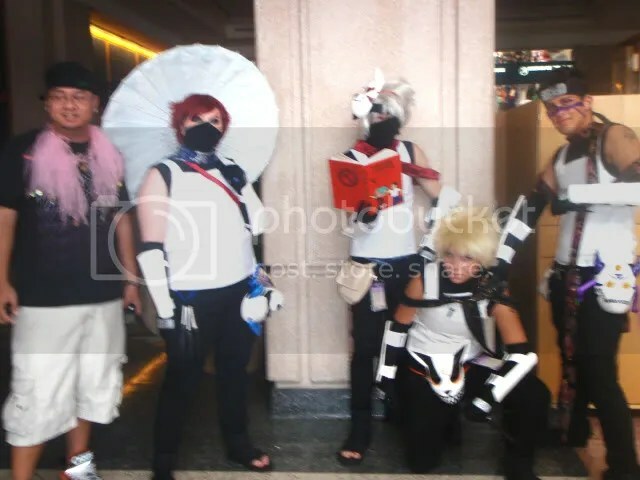 – Uhhhhh, why did it seem that there were no cute guys at Metrocon? I’m SERIOUS! The guys in most animes are cute! Sooooo… I guess I’ll just declare that every costumed guy at Metrocon was inaccurate b/c he didn’t represent his character’s cuteness correctly. Of course, everybody there loved taking pictures. Just hold up your camera and you’re bound to have at least four people and a Naruto character in the shot. Click on my pictures to wander Metrocon with me.